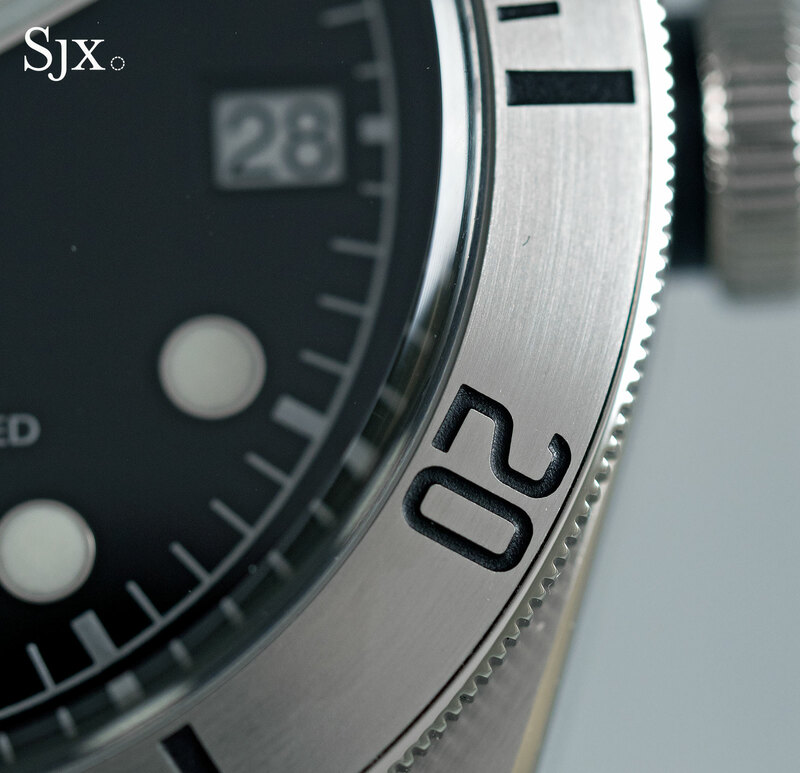 The Black Bay matures into a sleeker watch with a steel bezel and date. 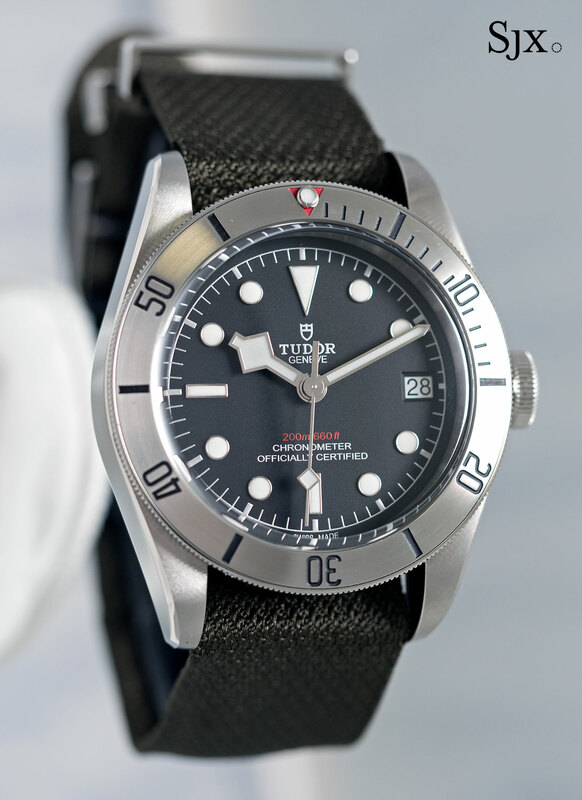 Originally introduced with a red bezel (then variants including bronze and black), the Tudor Black Bay is now cleaner and sleeker with a new stainless steel bezel. 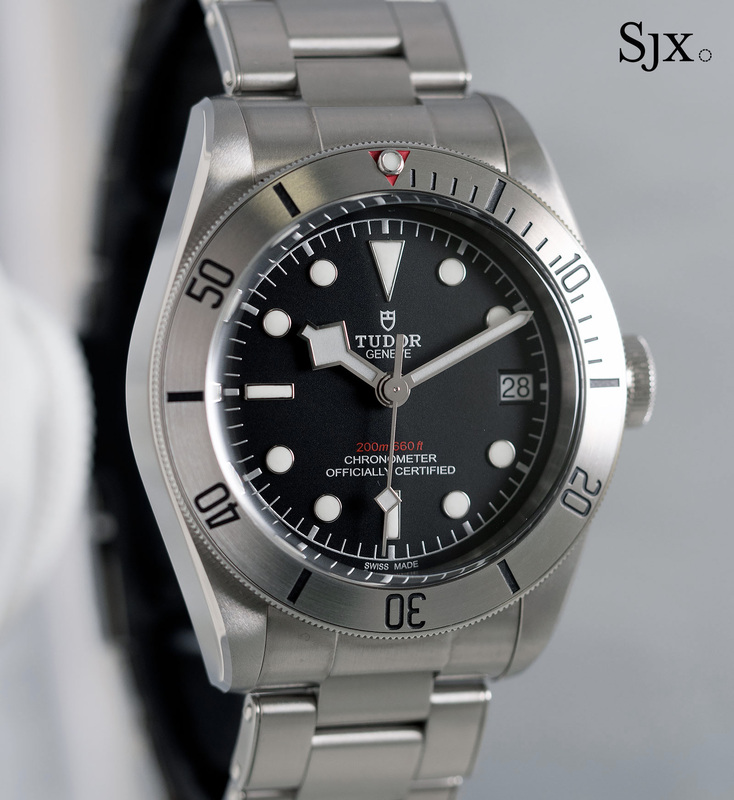 While not a significant change to an existing model, the Black Bay Steel offers a new look and function for practically the same affordable price tag. 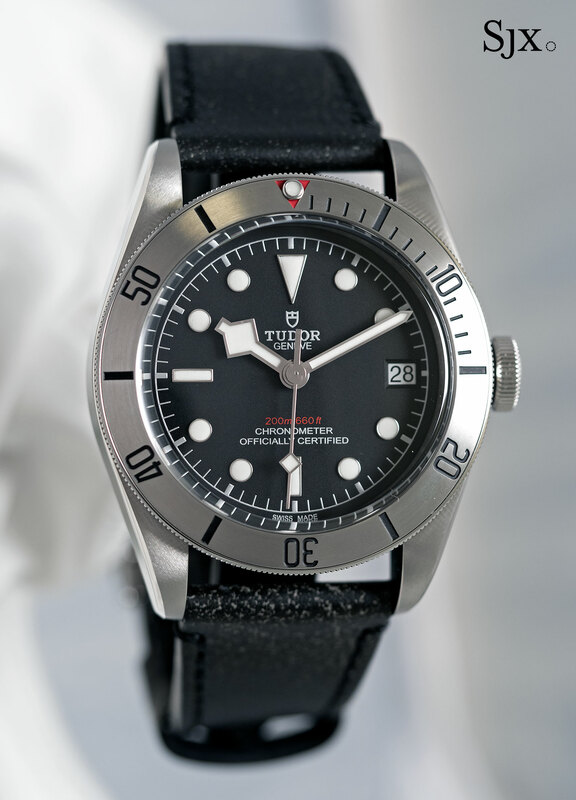 The basics of the Black Bay Steel are identical to most of the other Black Bay watches: a steel 41mm case rate to 200m, snowflake hands, matte black dial with the depth rating in red, and an in-house movement. 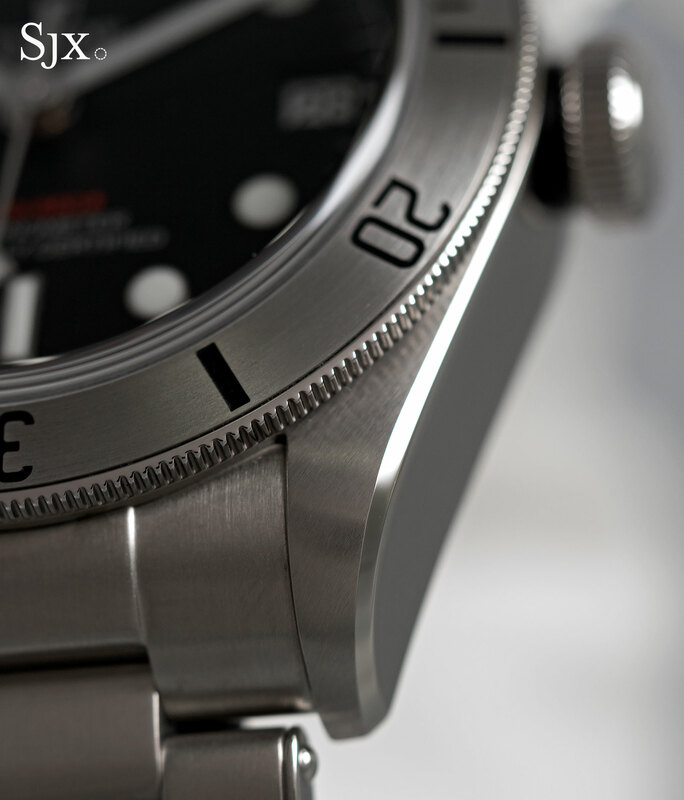 Two elements set it apart, the more obvious being the bezel. 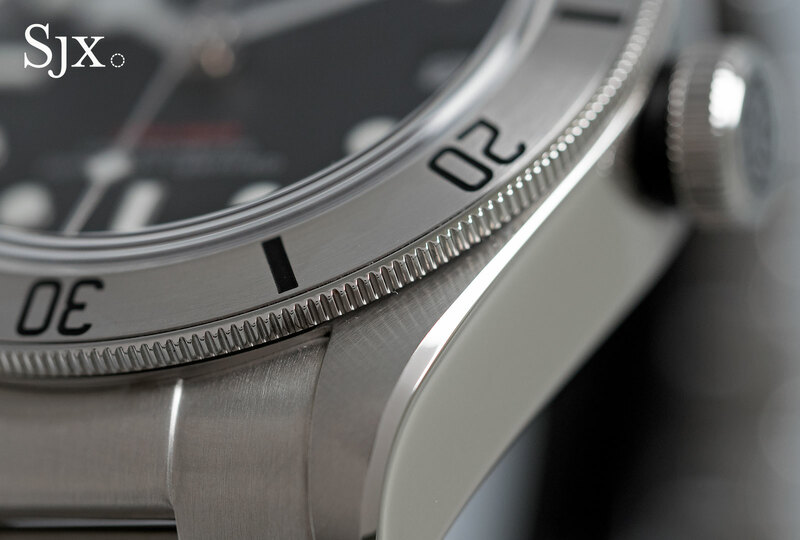 The insert on the elapsed time diver’s bezel is stainless steel finished with circular brushing. 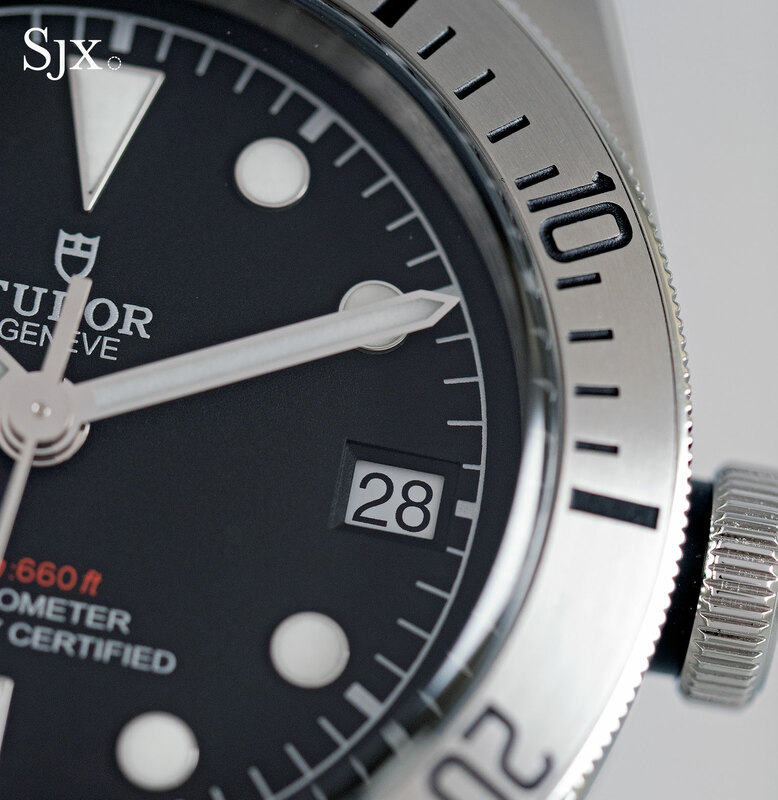 The markings on the bezel are engraved and then filled with black lacquer, or red in the case of the triangle at 12. 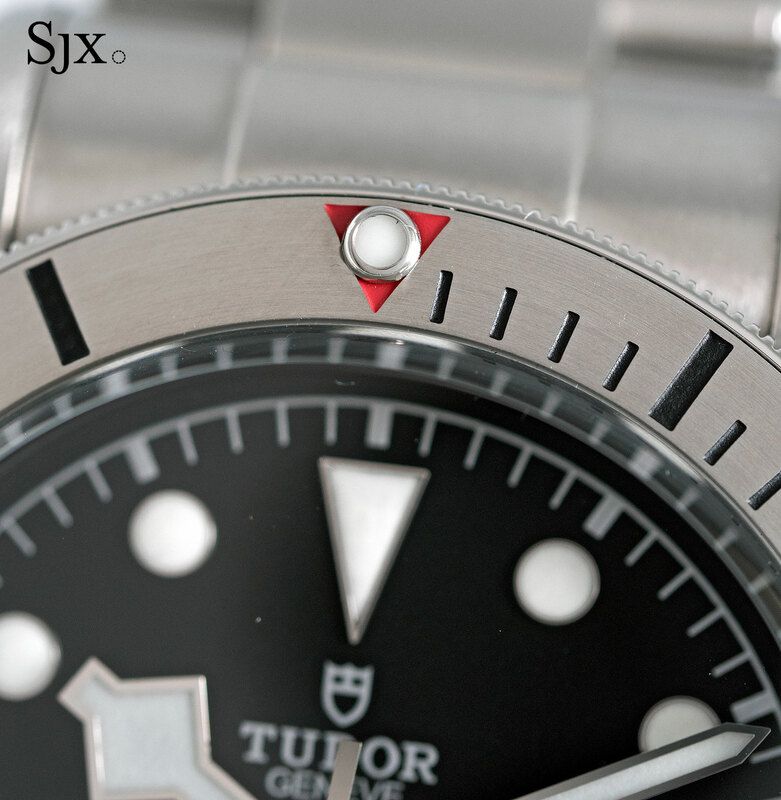 Most bezel inserts on dive watches are aluminium (or increasingly ceramic), just like the coloured bezels on the other Black Bay models. But anodised aluminium is prone to fade with time, resulting in washed out colours that collectors of vintage watches adore (hence the “ghost” bezels). Steel, on the other hand, is fade-resistant and essentially eternal, apart from general wear. 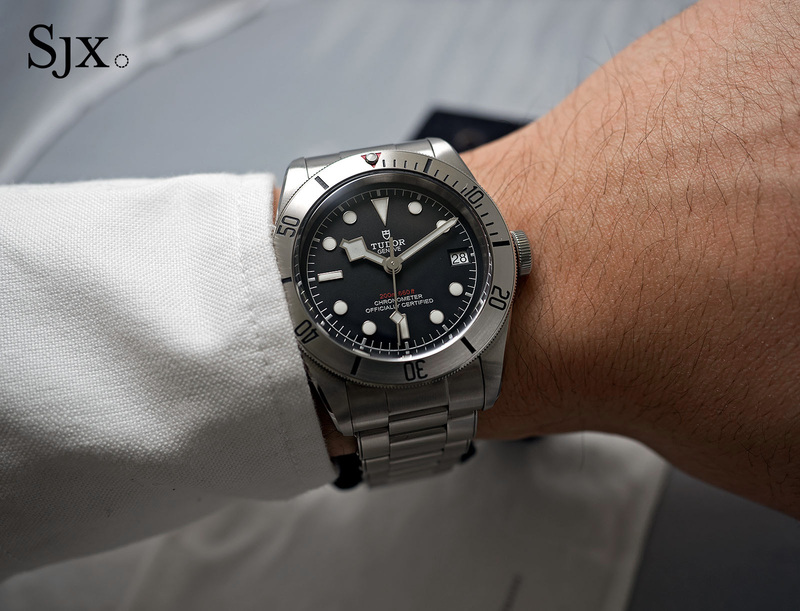 But more important than its metallurgical qualities is the clean, functional appearance of the steel bezel, which makes the Black Bay Steel its own watch. Many of the other Black Bay models are obviously retro inspired, modern watches that carry the style of something historical. 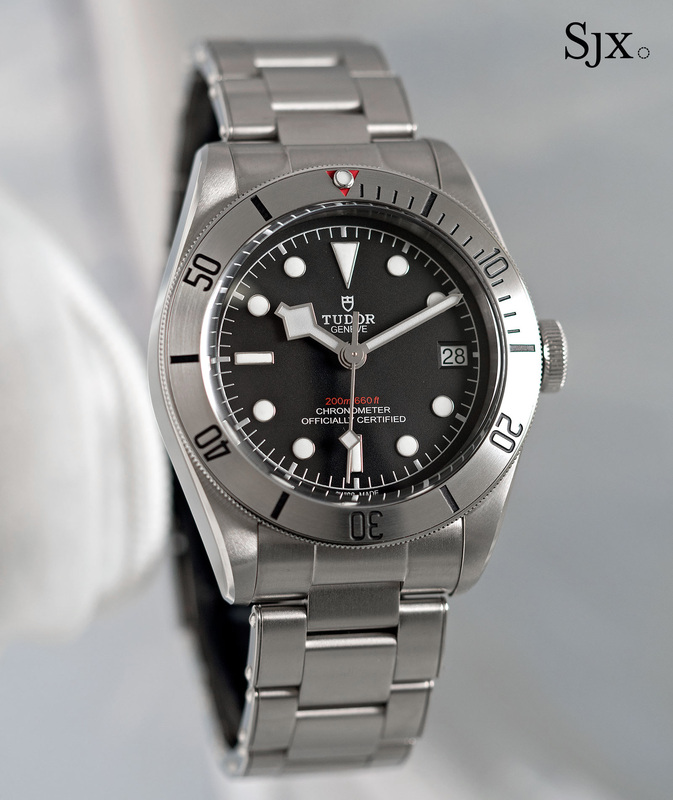 In contrast, the Black Bay Steel has a modern look and feel, making it more original, largely thanks to the steel bezel. 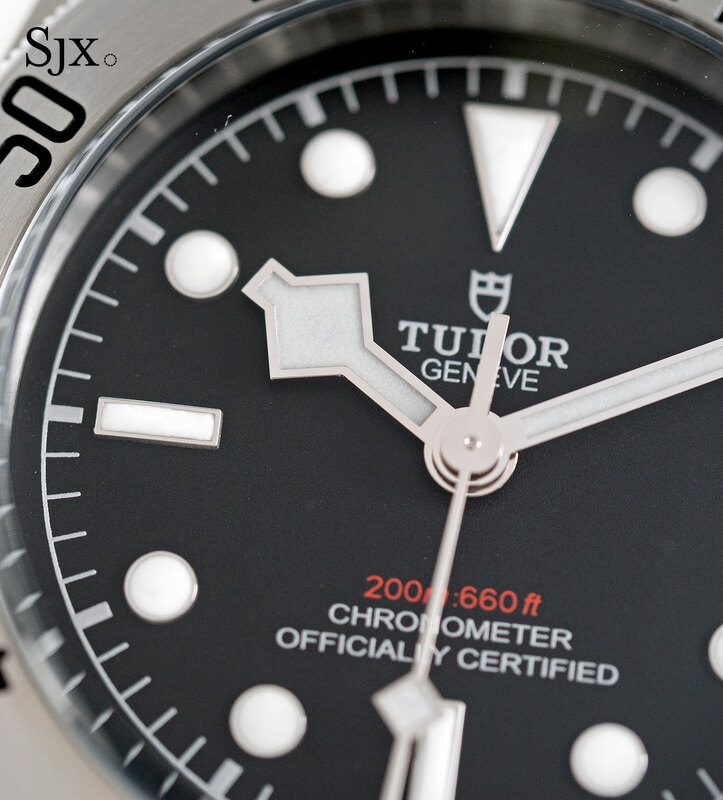 And importantly, the Black Bay Steel has a date window at three o’clock. It’s a practical feature that often looks out of place in vintage remake watches, as on the Longines 1918 for instance. 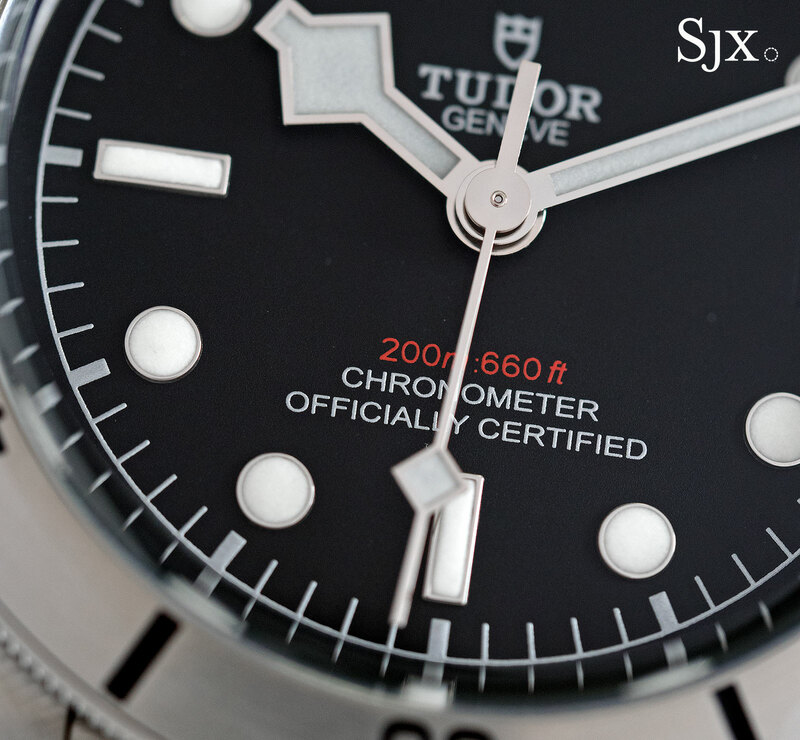 But because the Black Bay Steel feels contemporary, the date window looks at home. Inside the Black Bay Steel is the MT5612, a COSC-certified automatic calibre that’s part of the in-house MT56 family of movements, which power most of the Black Bay range. Built to be a reliable workhorse that’s functional and affordable, the MT5612 has a silicon hairspring and free-sprung balance. More evidently convenient to the wearer are its three-day power reserve, and date mechanism that allows setting at any time, even midnight. 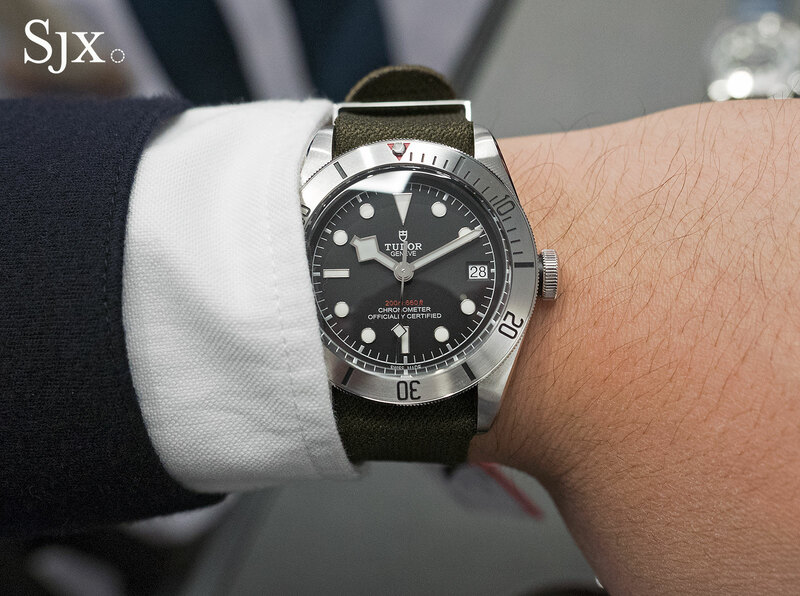 The Black Bay Steel (ref. 79730) will reach stores June 2017. Prices will be SFr3300 for the model on a leather strap and SFr3600 for the same on a steel bracelet – that’s just SFr100 over that of the model sans date. Both versions are accompanied by an additional fabric NATO-style strap in olive green. Update March 27, 2017: Additional photos included. The Black Bay 41 has everything that made its smaller sibling appealing. A blend of vintage Tudor elements plus a new chronograph movement developed by Breitling.